Clare was so helpful in organizing our group tour of 16. She worked with us to select the best possible tour options for our day, and made all of the logistical arrangements superbly, including setting up an authentic Swiss lunch. On the day of the tour she met our group at our hotel with driver and bus. 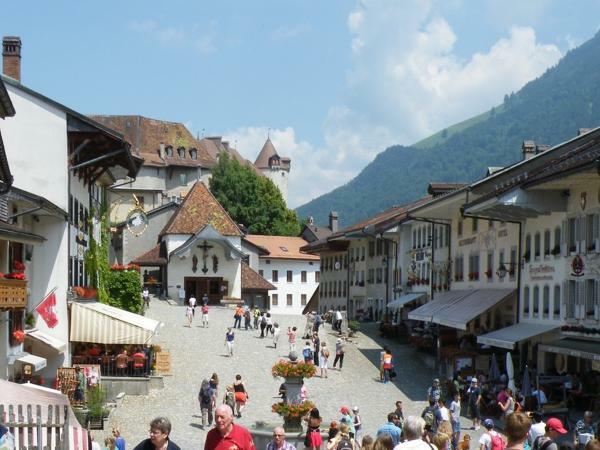 She provided a fun-filled day touring the area near and around Montreux including Vevey, Gruyere, Lausanne, and the beautiful wine growing region along Lake Geneva. I would highly recommend Clare!! TOUR GUIDE RESPONSE: Dear Gord, Thank you so much for your review and feedback. It was such a pleasure meeting your group and sharing the history and culture of our beautiful region with you all. I agree that fitting in Lausanne with a 9 hour day was quite ambitious, and certainly not recommended for most groups, however it did give everyone an idea of the versatility of Switzerland and a chance to visit one of our most beautiful cathedrals in the country, really making the most of a day's excursion. Best regards, Clare.